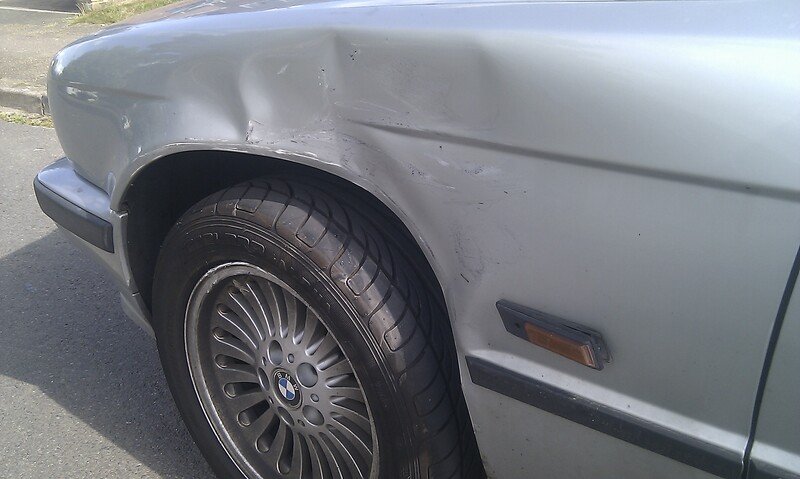 BMW E34 525 TDS N45: BMW Log - Could This Be The End? BMW Log - Could This Be The End? This happened on 2011-05-12T15:30BST. Time of day is approximate (+/- 15 mins).. It was parked outside a house, I was inside the house. 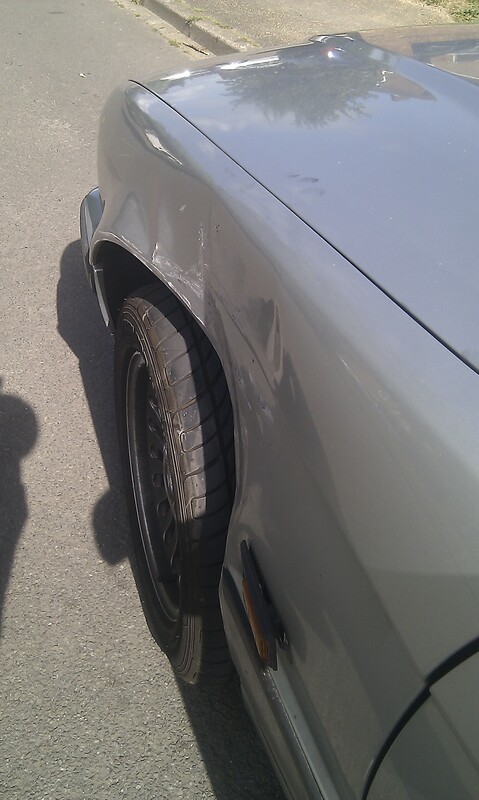 Heard the alarm go off, heard the gasps from others in the house and shouts of 'Someone just crashed into your car!'. So I went out and the person who lived opposite had reversed out their drive, must have not looked to see if there was anything behind them (strange, when you're reversing) and collided with my car. 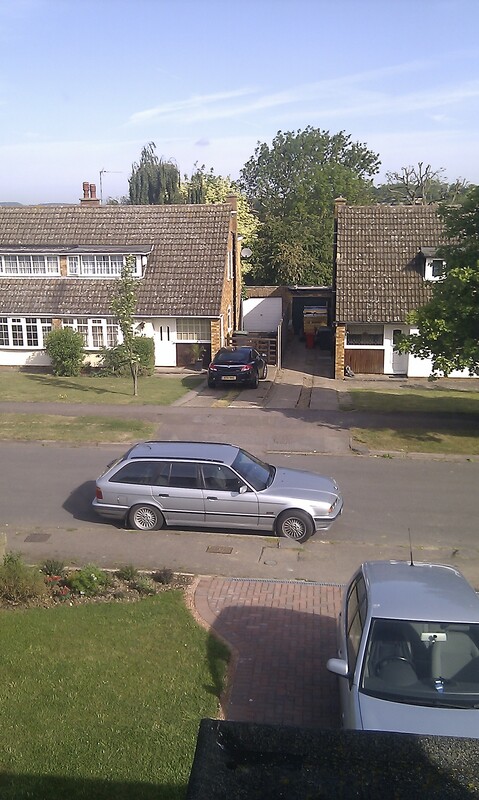 My car parked in foreground, the black car in the drive opposite. Black car reversed out and swung to the right, so as to drive off to the left. Black car's left rear corner connected with my left front wheel/wing. The front wing caved in. Could be just the wing, but underlying structure could be effected. 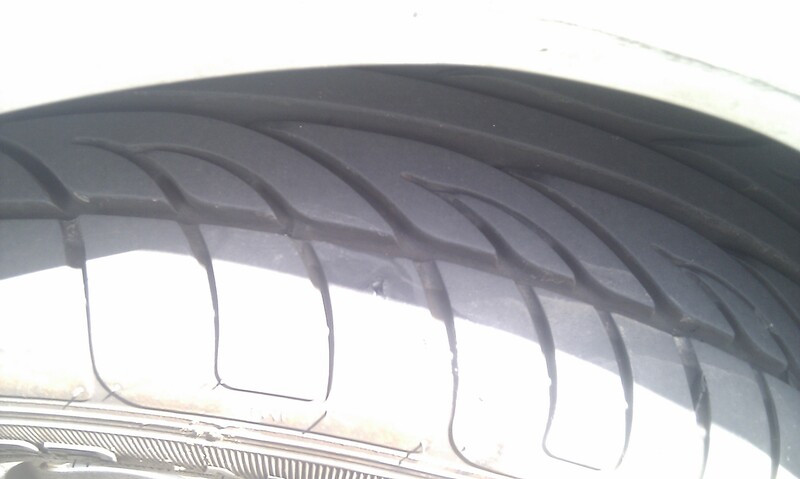 There is damage to the tyre; a scuff and a small tear. 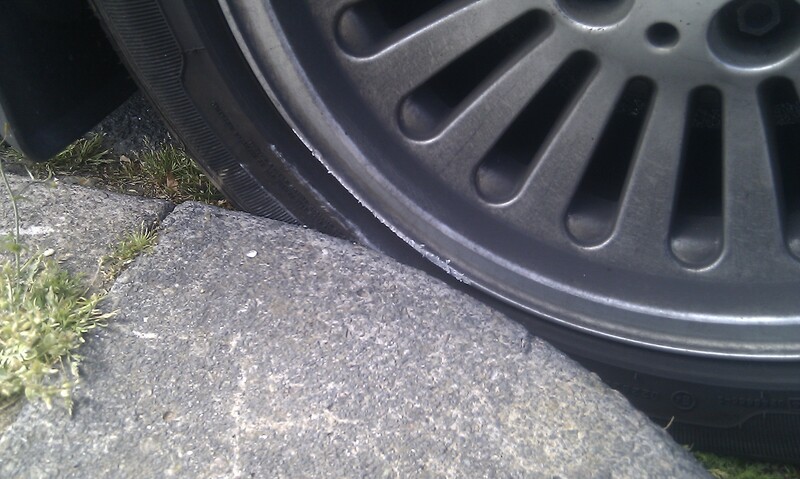 There is plastic on the edge of the wheel from the black car's bumper. 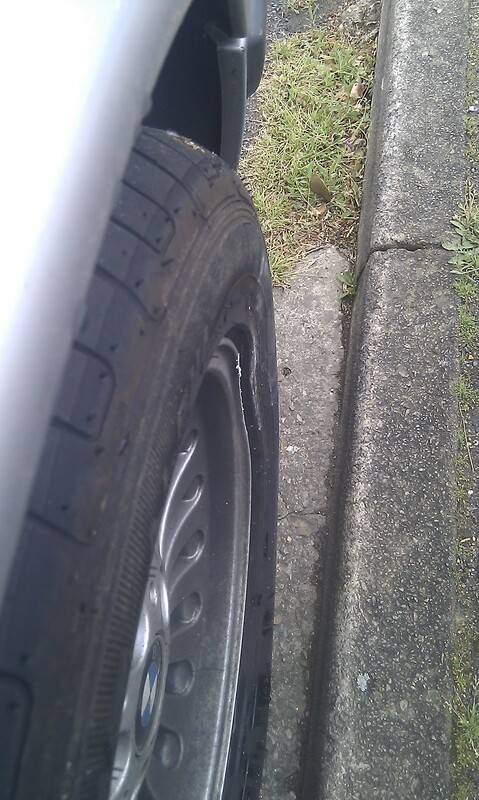 The car struck with enough force to move my car so that the opposite side (right hand side) wheel was forced into the kerb, damaging the wheel. Can be clearly seen here that the wheel has been buckled. I am concerned that due to being struck sideways on the wheel, that damage could have been done to the suspension components. The owner of the black car immediately came to talk to me, apologising and admitting full liability. She immediately called her accident hotline, which was to a company that provides her with a company car (Hitachi Capital) (so not directly speaking to the insurance company). The insurance company (QBE Insurance) were not informed of the accident until 2011-05-13T13:00BST (time approximate, based on what a representative of the company car company told me). As of 2011-05-14 I am still awaiting contact from her insurance company to provide me with details of when my car will be taken away and when I will be provided with a courtesy car.